Let Mommy Sleep Night Nurses have been providing nurturing, overnight care to newborns and evidence based education to their parents since 2010. Our Registered Nurses (RN) and Newborn Care Providers (NCP) support families with single babies, twins and triplets. 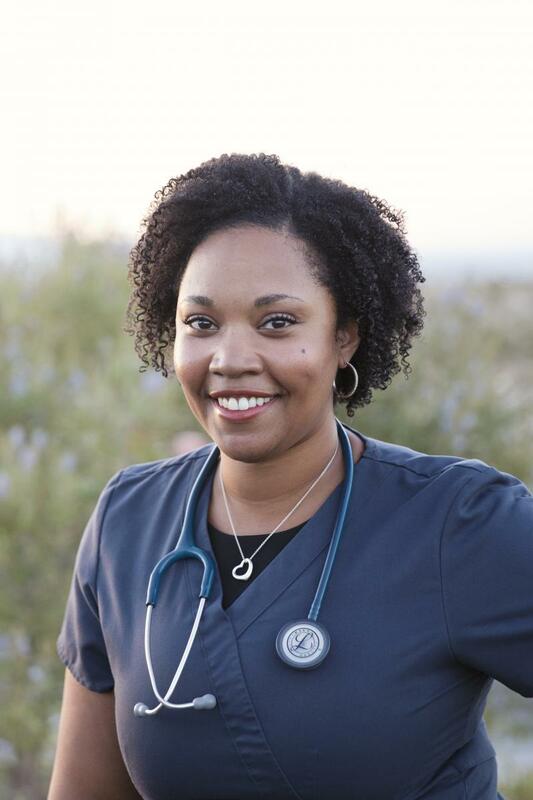 Part of what makes our team elite is that our Registered Nurses and NCP’s have the highest level of training and continuing education available. Let Mommy Sleep is the only agency in the country awarded a government contract to teach Newborn Care. Do the Nurses & Caregivers sleep while they are here? NO! We do not sleep while caring for your child. Sleeping would mean we are not safely monitoring your baby or responding to their needs in a timely manner. There's no way to control whether someone is "lightly" sleeping or heavily sleeping so we just don't do it at all. When a baby wakes in the night to the point of crying and waking someone up, this means s/he's in an advanced state of hunger or discomfort. Our job as professional caregivers is to respond to baby's cues before baby gets to that crying state. This allows baby to have calm, efficient feeds which then allows them to digest and then rest properly. This is how babies eventually sleep longer stretches through the night. What licenses and insurance do you have? There is no specific license to care for 5 or fewer babies/children at a time. This is why we hire clinically trained caregivers who are licensed thorugh their states Board of Nursing. We also maintain a Better Business Bureau “A+” rating. Because there is no specific license regarding the care of 1-5 children or newborns at one time, Let Mommy Sleep applied for and won a local government contract award to teach Newborn Care Certificate Courses. Since then we have brought this program to Babies R Us and other local teaching venues in an effort to bring elevated skills and safety to newborn care. What exactly happens while the Night Nurse is here? Do I even need newborn care? provide any and all care of the child while we’re in your home; diapering, feeding, burping, soothing, swaddling, bathing and whatever else your baby needs. partner support and education such as managing postpartum anxiety, depression or "baby blues"
Your baby nurse or NCP will also document baby’s feeding, diaper changes and other relevant info using our documentation App, LMS Live. What do I need to provide while the nurse is here? Who are your staff exactly? How can I feel safe with them? Our Registered Nurses (RN’s), Licensed Practical Nurses (LPNs), Medical Technicians and Certified Nursing Assistants carry their Nursing Board licenses. This means they have had clinical training and that our company is accountable to the State Board of Nursing. You can look up your caregiver on your state's Nursing Board. Our non-clinical caregivers with newborn and infant care experience have either 5+ years of private duty experience or have passed the governement approved Newborn Care Provider (NCP) certificate program. Background checks, vaccinations and flu shots are compulsory and the night nurses are happy to share these with you. I am having twins! HELP!!! We adore multiples! Remember most multiples are born preemie size, meaning that they need to eat every 2 hours, rather than every 3. This translates to 12 feeds per day for each baby…or 24 feeds in 24 hours! LMS night nurses and Newborn Care Providers can easily handle all nighttime feeding, daily planning and allow the babies to get on the same schedule. I’m breastfeeding, what’s the point of having a night nurse? In the first nights home from the hospital your LMS nurse offers lactation support through your breastfeeding session to ensure nursing is off to a successful start. She will then provide all care after baby has nursed; changing, burping, diapering and soothing back to sleep. As the nights & weeks go by and baby becomes more wakeful, a Newborn Care Provider still supports mom through her nursing session and also allows mother to sleep during baby's wakeful times. How do the Nurses and NCP's document my baby's activity through the night? How do I know what's happening? We have our own in house App called LMS Live. LMS Live is our charting system which documents babies feeding time, duration, diapers, time back to sleep and all other notes about baby's night. Additionally caregivers can provide continuing education to parents by attaching studies, videos or other helpful information. This allows our families to have a real-time log of baby's activity and also allows us to see patterns emerging related to baby's sleep. We also use a good old pencil and paper and this Eat-Activity-Sleep log so families have the information in written form as well. Do you serve Military families? We have a 501c3 non-profit extension called Mission: Sleep which provides free, overnight newborn care to military families and first responders where one partner is deployed, wounded or deceased when baby is born. Donations are always welcome. Because Mission Sleep is run through our admin office, over 90% of your donation goes toward providing care. The other 10% goes toward web hosting, insurance and admin. Yes! We have a Sleep RegistryTM which allows friends and family to donate to new parent accounts for NO charge. Gift Certificates are also available anytime. You can contribute to a Sleep Registry or purchase gift certificates here.